Questions? Definitely let us know! We're happy to help. Do you live in a van and want to share how you do it? Send us a link and we'll add it to this post! Looking for more of our posts related to living in our van? More Van Dwelling posts here. Cheap Travel Food Recipe: Cheesy Creamy Potato 'n' Broccoli SoupWhat do Couches, India, Salsa, Ethiopia, Mothers and VanDwellers Have in Common? Chicago. I’m really in my first stages of discovering this and being turned on like crazy. I am not from the US and thinking of going cross-country for 2-3 months in a van. My first question is, what kind of van is this? I looked all around at different types and this one looks perfect. What’s the model? As far as the stove – it’s made by Brunton. They seem to have discontinued our particular model, but we’re found the MSR Superfly Stove to be quite comparable in size and quality. 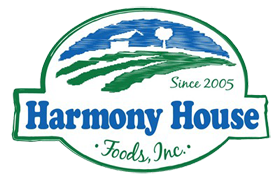 It can be purchased in our Vagabloggers Store.The dehydrated veggies we prefer are from Harmony House Foods and can be purchased in our store as well. We like them because they don’t add any preservatives or unnatural ingredients to their veggies – what you see on the label is what you get. We do make a very small amount of money from our blog – via our store, ads in the sidebar, etc. But at this point it isn’t near enough to sustain us. As for the heat – we can’t offer much advice there as we opted to head to Costa Rica for the winter. We’re looking into heating options for this winter and it seems the general consensus leans toward the Big Buddy. If you haven’t checked out the Van Dwelling group on Yahoo, you may want to do that. There are some very good discussions regarding heat sources in the group. Loved your video. Wished it were longer 🙂 Your minimalist/Feng Shui lifestyle really jibes with a lot of what I am considering doing in the fairly near future. I have been all over the Internet during the past several months – YouTube, great blogs, how-to videos on vandwelling (mechanical stuff, folding toilets – wow – conversion info, insulation, safety, stealth, privacy, etc.) – such a wealth of info on the good/bad/ugly of living frugal, simple and free. Your video was so straightforward and gave great info – just what I need to keep me stoked about embarking on the vandwelling lifestyle. BTW, who puts out that awesome little “stove” you demonstrated? Where do you find the dehydrated veggies, etc.? 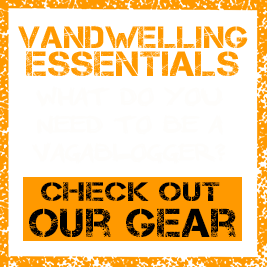 Do you make money with your blog? I’ve read about various heat sources as well – one is the Big Buddy, which uses propane – since I want to be in the Pacific Northwest. Any suggestions? Also been looking at soooo many types of vans I see parked or driving by (many for sale these days) – I like the Ram 3500 for the space, but would love a hi-top. I am a bit older than you two, so for me this lifestyle would be something of an “over-and-out”, “I’ve had enough and I’ve left the building” sort of deal. Already left my big apt (lovely as it was) and its rent, sold/donated a trainload of stuff (it’s soooo therapeutic), but for a couple boxes of keepsakes/meaningful stuff/essentials and am now in a cheaper little guest house. It’s lovely and quiet, but I really want to just chuck it all, grab my cats (and the boxes of sentimental stuff) and just “be” at this point in my life – and NO rent. Any suggestions of a good small cube (don’t know what those 2-wheeled metal trailers are called) that hitches on behind a van/car I can store any extra things in? Thanks again for your very cool and helpful video 🙂 Stay safe, and happy mountaineering/painting.